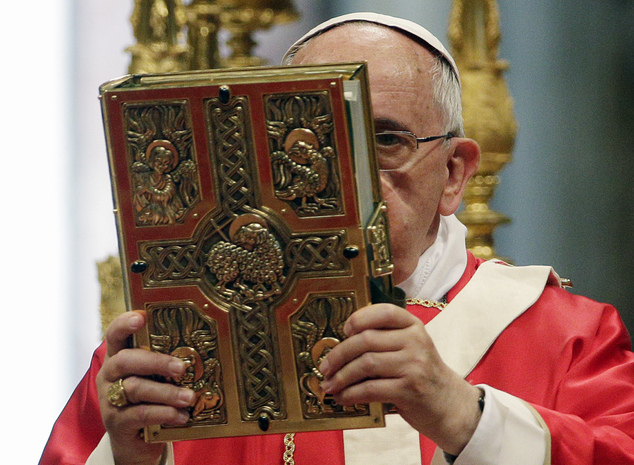 CATHOLICS, DO YOU HAVE A CATHOLIC BIBLE? THE IMPORTANCE OF A CORRECT INTERPRETATION OF THE HOLY SCRIPTURES BASED ON THE TRADITION AND THE MAGISTERIUM OF THE CHURCH. AV summary & text. CATHOLICS, DO YOU HAVE A CATHOLIC BIBLE? THE IMPORTANCE OF A CORRECT INTERPRETATION OF THE HOLY SCRIPTURES BASED ON THE TRADITION AND THE MAGISTERIUM OF THE CHURCH. (St Augustine, In Ioann. Evang., 18, 1). Catholics should be on their guard against arguments which, though non-Catholic Christians claim to be founded on Scripture, are, nevertheless untrue. As we can see in the following passages of the Gospel (Matthew 4:2-10) which recount the temptations of Christ in the desert, the devil can also set himself up at times as an interpreter of Scripture, quoting it to suit himself. This event demonstrates that the Scriptures can be taken out of its context and in the light of the unity which exists in the entirety of the Old and New Testaments. The error proposed by a heresy normally consists in stressing certain passages to the exclusion of others, interpreting them at will, losing sight of the unity that exists in Scripture and the fact that the faith is all of a piece. Dear brethren in Christ, we, Catholics, should reject any interpretation which is not in line with the teaching contained in the Tradition of the Church and taught by the Magisterium. Let us daily read God’s Word in the light of the Church’s teachings and be cautious when some people cite the Scriptures and teach a doctrine which is incompatible with our Catholic faith. Cordially inviting you to like our Facebook page www.facebook.com/CatholicsstrivingforHoliness so we could have a greater apostolic reach and thus help more people in their Christian life. Thanks and God bless! Fr. Rolly A.
ADORE, LOVE AND TALK WITH JESUS TRULY PRESENT IN THE HOLY EUCHARIST. POPE FRANCIS: CONVERT, FOLLOW JESUS, SOW THE GOSPEL IN ALL HUMAN ACTIVITIES.